Summertime officially starts on the 21st June which means summer crafting is on our agendas! We have an array of colourful projects to lift your spirits, including our cover card displaying all the fun at the fair. Find out how to make it on page 10. 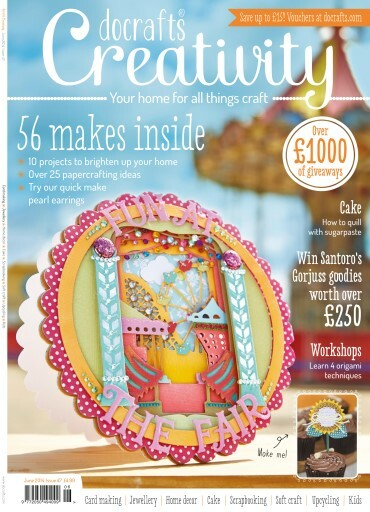 Don’t forget your exclusive vouchers are online this month so make sure to visit docrafts.com/article/vouchers to save £15 on docrafts’ latest collections. We also have over £25O worth of Santoro’s Gorjuss stash to be won. Turn to page 15 to find out how to enter!